I bet you see where I’m going with this! 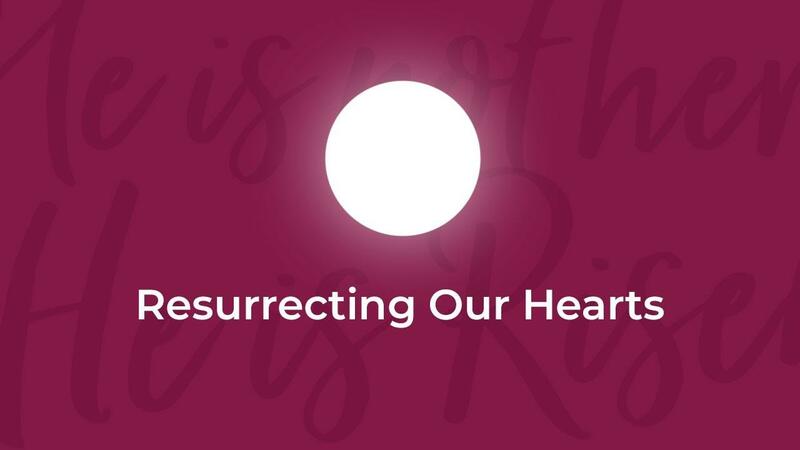 In order to experience transformation in our lives this Easter, we must first do the hard work of preparing our hearts. As we set aside this time to focus our minds on Christ’s sacrifice, we can’t help but come face to face with all our sins, flaws and inadequacies. It reminds us to reflect on all the ways we fall short, so we can remember that we simply can’t measure up in our own strength. Just like tilling and weeding a garden, this process is not always fun, but I can promise you it is always worth it. You see, we can’t truly appreciate the good news of the resurrection until we fully encounter the bad news, that we’re all broken sinners in desperate need of grace. Each Enneagram Type has specific weeds of weakness, sin and fear that must be pulled in order to experience healthy growth and abundant life. Though it can be painful to get up close and personal with our struggles and shortcomings, there is good news. God sent a Savior, and not only is He willing to show us mercy, He delights in it! In Romans 2:4, we read that it’s God’s kindness that leads us to repentance. He is with us and for us, and He wants to give us fullness of life in Him. Jesus’ life, death and resurrection righted all that is wrong in us, so we can bring to life our true longing and purpose. The Gospel specifically fulfills each of our hearts’ cries, giving us a spring of hope that will never run dry. As you prepare your heart for Easter, I pray these Enneagram insights will help you take an honest look at the thoughts, feelings and behaviors that need to be put to death in your life, so you can bring to life your true freedom in Christ. 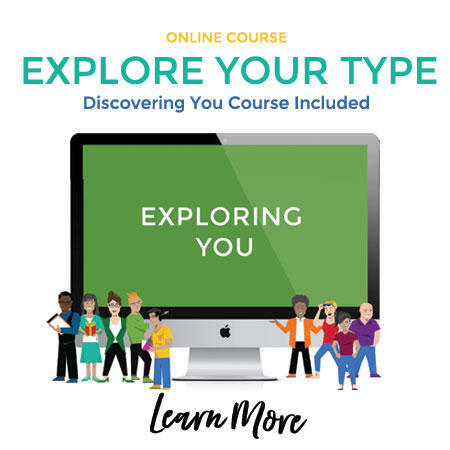 If you’re unsure of your Type, I invite you to go take my free test to help you get the most out of this exercise. It just takes a few minutes, and is a great first step in unlocking the intricacies of your personality. Put to Death your Core Weakness of resentment that leads you to be continually frustrated, dissatisfied or angry with yourself and others. Through Christ you are made perfect. Bring to Life your heart’s Core Longing to know that you are good. You have been forgiven through Christ, and his righteousness has been credited to you. You are a new creation! Put to Death your Core Weakness of pride, leading you to seek constant approval and validation from others. Through Christ you are accepted and worthy. Bring to Life your heart’s Core Longing to know that you are wanted and loved. You are so valuable to Christ that he laid down his own life for you. You are His beloved child! Put to Death your Core Weakness of deceit, which fools you into believing you are only the image you present to others. You have all the value, success and high status you need in Christ. Bring to Life your heart’s Core Longing to know you are loved for simply being you. Christ sees every hidden part of you. You are free to be your authentic self as His cherished child! Put to Death your Core Weakness of envy, which makes you feel that you are defective or flawed, and others possess qualities you lack. Through Christ you are perfectly whole and understood. Bring to Life your heart’s Core Longing to know you are seen and loved for exactly who you are. Christ designed you to be special and unique. He delights in you, His authentic and cherished creation! Put to Death your Core Weakness of avarice, which leads you to withhold your presence, knowledge and needs from the world in fear of being drained of your resources. Through Christ, you have all the energy and wisdom you need. Bring to Life your heart’s Core Longing to know your needs are not a problem. Christ sees you, loves you, and will always take care of you. His living water will never run dry! Put to Death your Core Weakness of anxiety, which causes you to get constantly caught up in worst-case thinking and planning. Through Christ, you are completely loved, provided for and protected. Bring to Life your heart’s Core Longing to know you are safe and secure. The all-powerful God of the universe sent his only Son for you, and you can take rest in His strength. You can be guided by the Holy Spirit in a confusing and chaotic world. Put to Death your Core Weakness of gluttony, which causes you to try to fill yourself up with new experiences to avoid pain. Only through Christ can you be completely satisfied. Bring to Life you heart’s Core Longing to know you are taken care of through Christ’s unending living water. Take rest and joy as His cherished child! Put to Death your Core Weakness of lust, that leads you to seek intensity and control in fear of being harmed, manipulated, or betrayed. Through Christ, you are strong and protected. Bring to Life your heart’s Core Longing to know that you will not be betrayed. Christ is your true advocate, and you can trust Him to always have your back. Put to Death your Core Weakness of sloth, which leads you to suppress your passions, abilities and worth in order to avoid conflict. Christ is calling you to bless the world with your unique purpose and perspective. Bring to Life your heart’s Core Longing to know that your presence matters. You can awaken and voice your views, opinions and desires, confidently knowing you are Christ’s beloved child! Whatever your Enneagram Type, and whatever weakness you struggle with, may you fully believe and trust that you are fully seen, known and loved by God. He intricately created you and knows your personality’s every thought, fear and shortcoming. You can find rest and take great joy knowing all He has is yours. Through Jesus’ life, death and resurrection, you are a new creation! Ask the Holy Spirit to illuminate your heart, its motivations and inclinations, so you can release your personality’s constraints and move forward in growth and freedom. 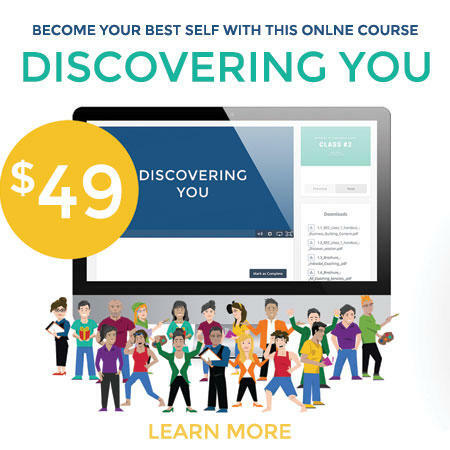 Are you ready to dig deeper into the Enneagram for lasting transformation? Do you want to learn how to change the patterns you’ve been stuck in and how to steer yourself in a healthier direction? My 3-step online courses can help! My team also offers private coaching for individuals, families and groups.